Will my tights become loose in the future? In order to prevent this, Compression Tights are made of PP fiber which has high elasticity and durability. 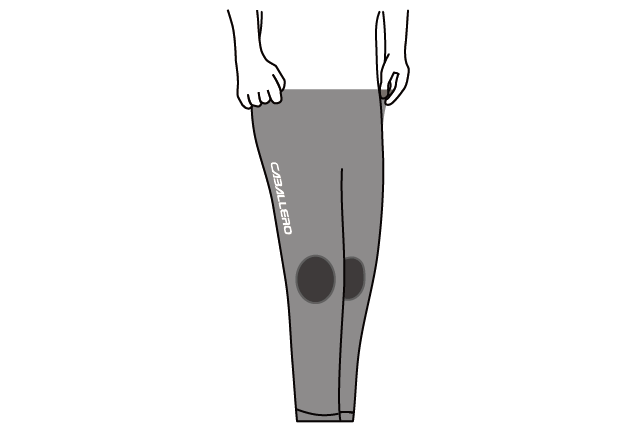 How do I know if I wear the Compression Tights correctly? 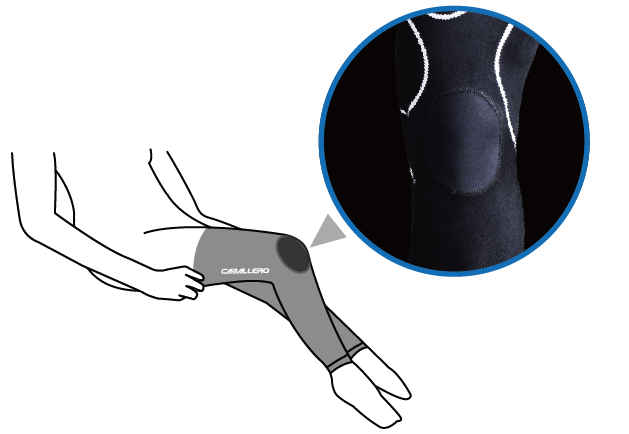 The knee pad must be placed at the center of your knee cap, and please pull the waist and crotch all the way up. What should I do when I see a thread? Please cut it off. The densities of Compression Tights are quite high, so do not pull it. Can I wear the Compression Tights when sleep? During sleep, body is at a stage of relax and self-recovering, we recommend not to wear the Compression Tights when sleep. What if I pruchased the wrong size? Due to hygiene reasons, the Compression Tights cannot be refund once package is opened. Please make sure you purchase the right size. Anything should I be aware of when wearing Compression Tights? Please avoid sharp objects and pointy finger nail to poke or scratch Compression Tights, otherwise the Compression Tights could be damaged and affect functionality. The back side has investable pocket and front has knee pad. HOW TO WEAR THE Heart Rate Monitor Tops CORRECTLY? Still can't find what you're looking for? Need more help? Answer a few questions and we'll give you the best options. Our service team will contact you once we recived your customer Service Form. Will your sports bra cause friction or injury easily? There are several common reasons to cause friction and injuries: wrong size, flawed product, and using long period of time per once. People with sensitive skin / doing sports for long period of time per once (i.e. marathon or running over 8 km), please consider using anti-friction cream or Vaseline to prevent injury. Can I remove the neck label? We strongly suggest NOT to. Our products are all integral forming and seamless construction, if you remove the neck label, it's very likely to cause loosen threads. If the neck label makes you uncomfortable in any way, we recommended to stick a breathable bandage (band-aid) on it. When and where can I wear it? 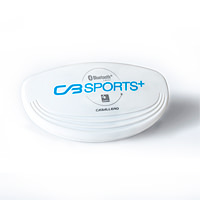 Our products are suitable for any indoor / outdoor activities like running, cycling, marathon, gym, yoga and climbing. Can I purchase your heart rate monitor belt separately? No, our heart rate monitor belt is directly attached to the clothing to be more light weight, liberate, and to avoid friction and injury. It can NOT be purchased separately. 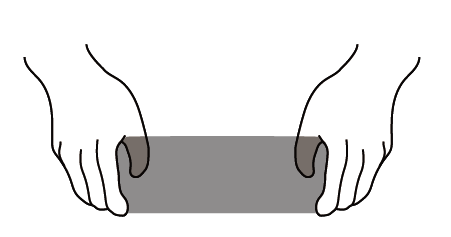 Sizes are measured lying flat and may have ±5 cm margin of error, you can measured your own clothes lying flat to find the right sizes. 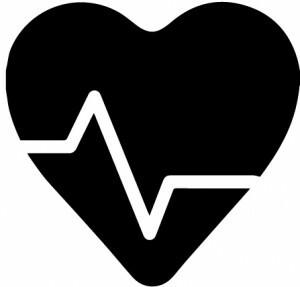 How to install the heart rate transmitter? Align the metal snap buttons behind the transmitter to the buttonholes on the clothing and push to install. Can I use your heart rate monitor clothing with Garmin’s (or other brand’s) transmitter? Of course! Any heart rate transmitter with Bluetooth or ANT+ function, and have the identical metal snap buttons are all compatible with our heart rate monitor clothing. What’s the difference between heart rate monitor clothing and normal sports bra/tanks/tops? Only the clothing marked "HEART RATE MONITOR" has tracking function. Normal sports bra / sports tank is made without the build-in "elastic electrode fabric" to detect and track your heart rate, and will not have buttonholes to install transmitter with. Can I use it with any cycling watch that has ANT+? Yes, any devices with ANT+ wireless transfer function is compatible. 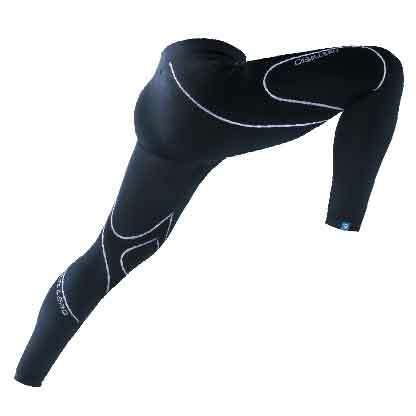 Does your arm warmers have UV protection? 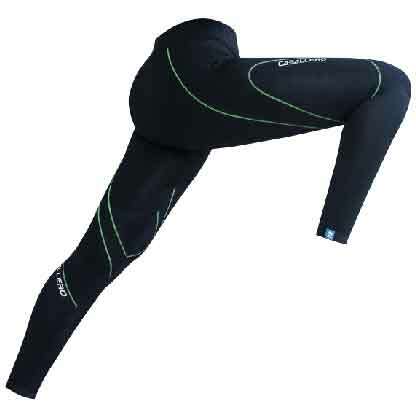 Yes, our arm warmers have UV protection and sun protection functions. Is it easily loosen? How to prevent it? Our products are highly flexible and not easily loosen or wrinkled under normal use. With gently hand wash or put in the laundry net before machine wash is the best way to maintain its shape. Please note, do NOT bleach, dry clean, tumble dry, iron or soaked our product in the detergent. Is it easy to clean? How to properly wash it? Our products are dirt proof and easy to clean. If there's any stain, wash with cool water under 30℃ and neutral detergent, gently rubbing the stain part, and hang to dry. Can I return products purchased from online shop to your dealers? Products purchased form online shop (such as PCHome Store) can NOT be returned at dealers's physical stores and vise versa. We are sorry for any inconvenience caused. If you received defected or damaged products, or wish to change sizes, please contact us through phone (+886-4-23596199#556) or email (caballero@sunstar-tw.com) within 7 days after you received the package. Changing Sizes: We accept return to switch sizes, but would NOT accept refund for this reason. Please carefully choose the color and size that suites you, if you wish to change sizes after purchase, you have to cover the shipping cost. Intimate Products: Intimate apparel such as mesh vest, sports bra or socks, we will NOT accept refund request if the product is used, washed, odored or stained. Refund Process: If the refund product came back as broken or incomplete package, or didn't include essential documents like receipt, delivery order or giveaway, we will NOT issue the refund. False Alarm: If the product returned appears to be not defected or flawed after our inspect, you have to cover the costs due to the process. Please refer to our dealers and online shop for more detailed return / refund policy.